Shows posterior view of the pharynx and shows sagittal section, deep side view and tonsils. 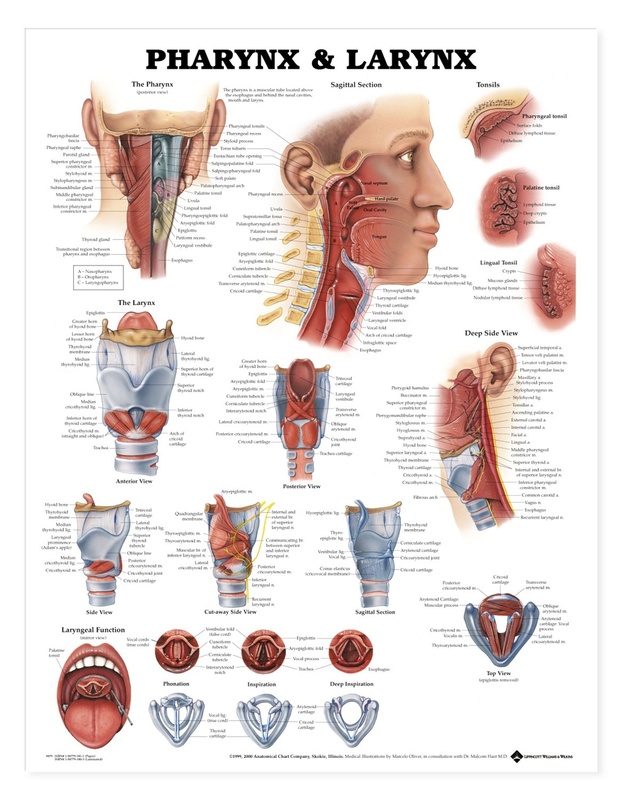 Provides various views of the larynx: anterior, posterior, side, cut-away side, top and sagittal section. Also shows laryngeal function, including phonation, inspiration and deep inspiration. I use this poster daily as a reference to the anatomy and function of the vocal mechanism when applied to the science of Vocal Pedagogy, both Musical Theatre Belt and Classical Technique. Great compliment to airway lecture.